TLM-Manager Social Services, Ms PG Rasesepa, with some of the youth during their training in waste. THABAZIMBI – Over the years, the Department of Environmental Affairs (DEA) has undertaken studies which have highlighted the plight of Municipalities regarding waste management issues. Some of the highlighted problems included a lack of capacity, Infrastructure and funding. The DEA then came up with a youth empowerment programme especially designed to assist Municipalities in these critical areas. The programme comprises different elements such as Capacity Building, Manufacturing and Construction. The DEA employed additional personnel to assist the municipality in the areas of landfill operation and management, planning and administration relating to waste collection and planning and undertaking environmental awareness campaigns. The additional personnel will be based at the Municipality for the duration of the programme which is one (01) year. In relation to the Manufacturing and Construction, the DEA will provide at least one weigh pad on a need basis together with associated weigh pad platforms as well as site office. The National Department of Environmental Affairs (DEA) through the Chief Directorate: Environmental Protection and Infrastructure Programme has selected Thabazimbi Local Municipality to form part of first roll-out of the Limpopo Province – Youth Jobs in Waste Project – and they appointed Dyambwini Construction and Project Solutions to act as an implementing agent and oversee the overall planning and implementation processes of the project on behalf of the Department. 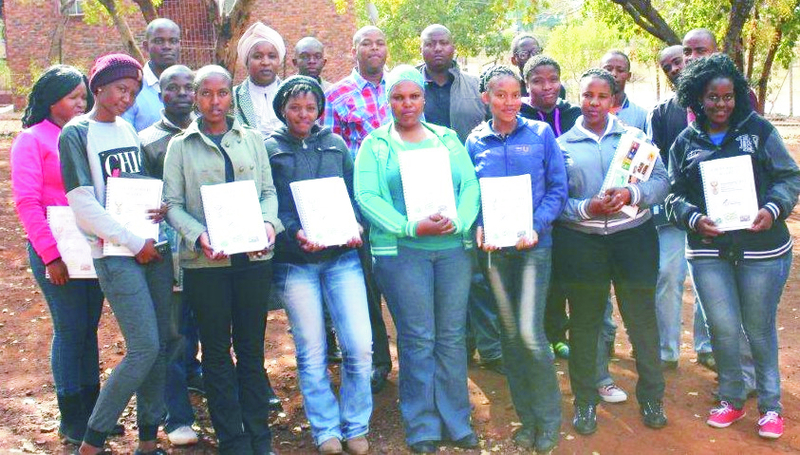 16 Youths within the Municipal jurisdiction have been appointed and they all underwent an informal training of three days (2-4 July 2014) at the Regorogile Community Services Boardroom. An accredited training will take place in August 2014 for a period of four weeks and upon the completion of the training, participants will be awarded Certificates.